What value would you put on your families safety? Close - X If you have an old style fuse board, like the one pictured (fig 1), we highly recommend you get an upgrade to a new 17th edition consumer unit (Fig 2). 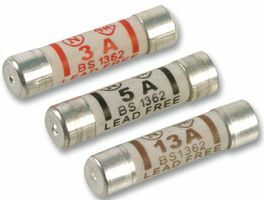 The old rewirable type fuses are not as responsive as more modern miniature circuit breakers (MCBs) which can trip faster in the event of an electrical fault. The rewirable fuses are also prone to abuse whereby either an incorrectly rated wire is used, double fuse wire used or another metallic object used to circumvent the protection of the fuse, any of these cases will cause danger to life and property. 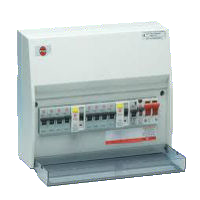 The new style consumer units come fitted with at least one residual current device (RCD) which provides additional protection by tripping if an earth fault occurs. An earth fault may be caused by faulty or broken wiring or damaged equipment. Overall a new 17th edition consumer unit will offer greater protection from fire, electrical shock or overload and minimise inconvenience replacing blown fuses. Close - X All electrical installations deteriorate with age and use. They should therefore be inspected and tested at appropriate intervals to check whether they are in a satisfactory condition for continued service. Such safety checks are commonly referred to as 'periodic inspection and testing'. These test are essential for creating documentation that can identify degredation of an electrical installation. The tester will refer to previous documents (if available) and compare results with his own test results. By this the tester will be able to determine if there is any breakdown or deteriation of the installed circuits. The aim of the testing is to make sure all who use the electrical system remain safe, with no threat of injury or even death. - Reveal if any of your electrical circuits or equipment are overloaded. - Find any potential electric shock risks and fire hazards. - Identify any defective electrical work. - Highlight any lack of earthing or bonding. How often is a periodic inspection required? - 10 years for an owner-occupied home. - 5 years for a rented home. - 1 year for a swimming pool. - When a property is being prepared for letting. - Before selling a property or buying a previously occupied property. Periodic inspection and testing should be carried out only by electrically competent persons, such as registered electricians. They will check the condition of the electrics against the UK standard for the safety of electrical installations, BS 7671 - Requirements for Electrical Installations (IEE Wiring Regulations). - The adequacy of earthing and bonding. - The suitability of the switchgear and control gear. 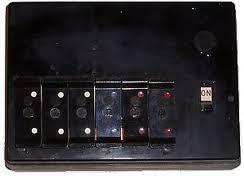 For example, an old fusebox with a wooden back, cast iron switches, or a mixture of both will need replacing. - The serviceability of switches, sockets and lighting fittings. older round pin sockets, round light switches, cables with fabric coating hanging from ceiling roses to light fittings, black switches and sockets mounted in skirting boards. - The type of wiring system and its condition. For example, cables coated in black rubber were phased out in the 1960s. Likewise cables coated in lead or fabric are even older and may well need replacing (modern cables use longer lasting pvc insulation). - Sockets that may be used to supply portable electrical equipment for use outdoors, making sure they are protected by a suitable residual current device (RCD). - The presence of adequate identification and notices. - The extent of any wear and tear, damage or other deterioration. 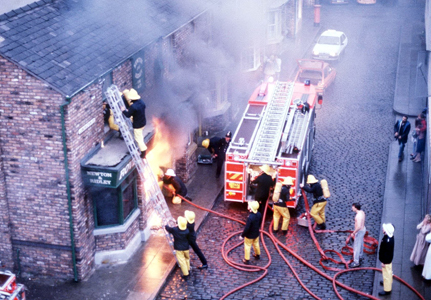 - Any changes in the use of the premises that have led to, or may lead to, unsafe conditions. If any dangerous or potentially dangerous condition or conditions are found, the overall condition of the electrical installation will be declared to be 'unsatisfactory', meaning that remedial action is required without delay to remove the risks to those in the premises. We can offer a complete Periodic safety check, including certification, from £200 all in. Call us now for further details. We cover the whole of Havant and the surrounding area. 24 Hour answer machine.